Butte County Sheriff Kory Honea says they found 8 more bodies Friday from a deadly Northern California wildfire that is only half contained. The death toll from the deadliest wildfire in the country in at least a century is 71. Northern California authorities say more than 1,000 people are now on a missing persons list but stressed that it doesn’t mean they are all actually missing. Butte County Sheriff Kory Honea said Friday that a list that he released Thursday of 631 names has now increased to 1,011 names. He called it “a dynamic list” that will fluctuate up and down and urged the public to consult the list to see if their names are on it and let authorities know if they are OK.
One man’s search for his 75-year-old mother has ended with a phone call from an official with the coroner’s office. Sol Bechtold had gone to numerous shelters since the massive Nov. 8 wildfire tore into his mother’s Northern California community of Magalia. He posted flyers on bulletin boards at shelters hoping someone would know his mother’s whereabouts. On Thursday, Bechtold went to the Butte County Sheriff to provide DNA samples. As he was driving back to his home in Pleasanton, California, he got a call from an officer with the coroner’s unit of the Sonoma County Sheriff’s Office. He told Bechtold remains were found in his mother’s home, which had been burned down to the concrete foundation. Bechtold said Friday it would take five to seven days for the DNA results to come in, but he said there was no doubt his mother was gone. At least 25 people have been hospitalized due to an outbreak of norovirus at shelters housing people who evacuated from a massive wildfire in Northern California. Butte County public health spokeswoman Lisa Almaguer says the number of sick people keeps growing as officials work to stop the spread of illness. She said in a statement that some of the sick include workers at the shelters. The former police chief of Chico and Oroville and his wife have filed a lawsuit blaming Pacific Gas & Electric Co. for a fire that’s killed dozens of people and destroyed thousands of homes in Northern California. The suit filed Friday by Kirk Trostle and Patty Garrison is the second accusing PG&E of mismanaging its equipment. No cause of the blaze has been determined. PG&E reported an outage on a transmission line near the time and place where the fire started and later observed damage to a utility pole. PG&E spokesman Paul Doherty says the company is aware of the lawsuits and safety is its highest priority. Trostle and Garrison say they lost their home in Paradise, as have many members of their family. California’s outgoing and incoming governors say they’ll join President Donald Trump when he visits wildfire devastation in the state. Officials from the National Park Service say they plan to rebuild the burned-down buildings and movie sets of Southern California’s Paramount Ranch and reopen within two years. Santa Monica Mountains National Recreation Area Superintendent David Szymanski announced the plan Friday as he guided reporters through the charred foundations that once made up the ranch’s “Western Town.” Most of it burned shortly after a wildfire broke out Nov. 8. A church built for HBO’s “Westworld” and a train depot constructed for the 1990s CBS series “Dr. Quinn, Medicine Woman” are all that remain. The ranch began as a set for Paramount Pictures in the 1920s and was taken over by the National Park Service in 1980. Firefighters in Northern California have mixed thoughts on President Donald Trump’s comments that blamed raging wildfires on poor forest management but say their main focus is fighting the blaze. As firefighters returned to a command center in the Northern California city of Chico on Friday after 24-hour shifts, some learned for the first time that Trump was scheduled to visit Saturday. Gary Jacobs, a firefighter sent from San Mateo County, said everybody has their own opinions and he stays out of politics. Trump initially responded to the fires by blaming them on “gross mismanagement” of forests in a tweet on Saturday. He then reiterated the criticism in an interview with Fox News, saying, “The big problem we have is management.” Excerpts of that interview were released Friday. Michael Baldwin, a CalFire captain from Mendocino County, said Trump’s comments that blamed poor forest management for the blaze was “ill-informed” and came at the wrong time. Dozens of people are still hospitalized a week after a deadly wildfire broke out in Northern California. UC Davis Medical Center in Sacramento said Friday that it’s treated 11 people injured in the wildfire that largely destroyed the town Paradise and killed dozens. The hospital’s chief burn surgeon told KRON-TV that most patients had burns over 20 to 50 percent of their bodies. Enloe Medical Center in Chico treated 49 patients who evacuated from a hospital in Paradise. Hospital spokeswoman Andrea Gleason says numerous others were admitted for fire-related injuries, but the staff hasn’t kept track of the exact number of patients. California officials say three firefighters were injured. Thousands of students in a Northern California school district ravaged by the deadliest fire in a century will be out of school until Dec. 3. Butte County Schools Superintendent Tim Taylor announced the return date Friday. He says officials are still figuring out where to place students whose schools were destroyed or damaged by the fire that has killed at least 63 people. Taylor says the district needs 100 portable classrooms to accommodate 3,200 students in the Paradise school district and others in surrounding communities. He says the county has enough clothes and food and needs cash donations now. Butte County officials canceled classes for 32,000 students when the Camp Fire broke out last week. President Donald Trump has again blamed California’s wildfires on mismanagement of forests, reiterating the criticism on the eve of a visit to the most devastated area of the state. Trump is scheduled to visit the devastated Northern California town of Paradise on Saturday. A fire there has killed at least 63 people in the country’s deadliest wildfire in a century. San Francisco International Airport says nearly 200 flights have been delayed because of low visibility and smoke caused by wildfires in Northern California. Airport spokesman Doug Yakel said that as of noon on Friday about 15 percent, or 195 flights, have had delays averaging 45 minutes. On Thursday, about 500 were delayed, representing about 40 percent of the airport’s flights. The airport averages about 1,250 flights per day. Yakel said smoke was the main factor in low visibility conditions, with visibility at about 1.5 miles (2.4 kilometers) Friday compared to 10 miles (16 kilometers) on a normal day. The airport is urging travelers to check with their airlines or the airport’s website for their flights’ status. Schools across the San Francisco Bay Area were closed Friday as winds carried smoke from wildfires in Northern California that blanketed towns and cities hundreds of miles (kilometers) away. Authorities say it is hard to get a handle on the number of missing in the aftermath of Northern California wildfire that is the deadliest in the country in at least a century. The number has fluctuated from day to day, with the latest report standing at more than 600 unaccounted for. Butte County Sheriff Kory Honea acknowledged the list is “dynamic” and includes reports from the disaster’s frantic early hours. Some who are on the ever-evolving list have been confirmed as deceased by family and friends on social media. Others have been located safely, but authorities have not yet marked them as found. In last year’s Northern California wine country wildfires, Sonoma County authorities at one point listed more than 2,000 people as missing. But they slowly whittled down the number. In the end, 44 people died in a that series of fires in several counties. Hundreds of people displaced by the Northern California wildfire have lined up outside a mall in the city of Chico where the Federal Emergency Management Agency set up an assistance center inside what used to be a Sears department store. Also assisting residents of the area destroyed by the fire were California’s Office of Emergency Services and its Department of Motor Vehicles. Carol Manzo lost her mobile home in the town of Paradise and stood in line with her daughter in law and three grandchildren. She’s says she hopes to ask FEMA workers about lodging for her family. 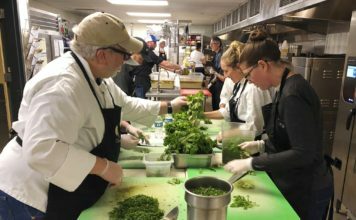 They stayed in a hotel through Wednesday and can stay with a family friend in the city of Chico through Thanksgiving, but then have nowhere to go. Shares of Pacific Gas & Electric Co. have soared after California’s top utility regulator said his agency will help the company deal with potentially crippling liability costs from wildfires. Stock prices soared 36 percent in midday trading Friday after plunging 60 percent and losing $15 billion in valuation in the week following the outbreak of a Northern California wildfire that is the nation’s deadliest in a century. In an interview with the San Francisco Chronicle, Picker said his agency will soon implement a provision in a new state law that allows utilities to pass costs for past wildfires to their customers. He said additional legislation may be needed to ensure that provision applies to this year’s fires. 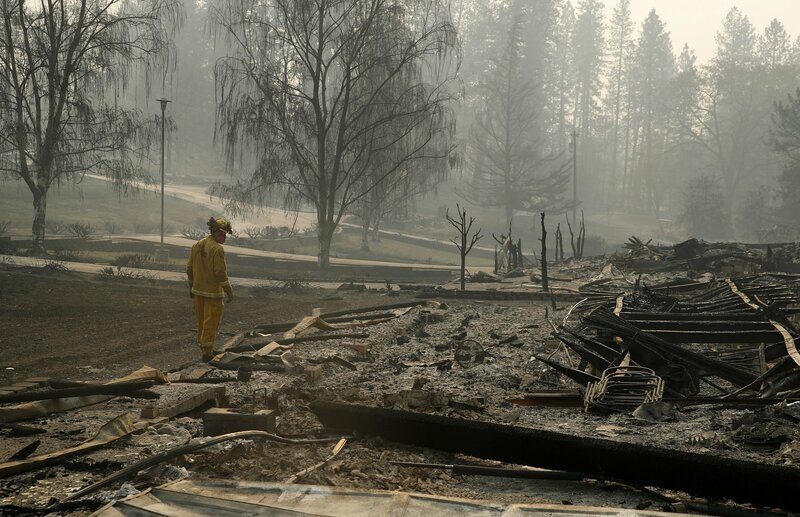 Authorities have so far counted 616 structures were destroyed and 183 damaged by the deadly Southern California fire. The latest numbers issued Friday morning reflect damage assessments in 57 percent of the burned area. Containment of the fire has also increased to 69 percent of the fire zone encompassing 153 square miles (396 square kilometers) of suburbs and wilderness west of Los Angeles. Firefighters could be helped by onshore flows of moist air from the Pacific, with some gusts up to 20 mph (32 kph) in the afternoon and increased humidity levels. Butte County Sheriff’s Kory Honea told reporters Thursday night that 630 people are on a missing list. He said many may be safe, but that he’s making the list public so people can let officials know they’re safe. Forecasters are predicting rain early next week for the Northern California area where a deadly blaze that decimated a town continues to burn a week after it started. Honea’s office Thursday published a missing list with 631 names that probably includes names of people who fled the blaze and don’t know they are being sought. Fire officials in Northern California say the list of 631 people missing in the nation’s deadliest wildfire in a century probably includes people who fled the blaze and don’t know they’re being sought. Butte County Sheriff Kory Honea says he’s making that list public so that people can let authorities know they’re safe. Meanwhile, 63 people are confirmed dead and some 52,000 are displaced in shelters, motels and the homes of friends and relatives. Others are at a Walmart parking lot and an adjacent field in Chico, a dozen miles away from the ashes. 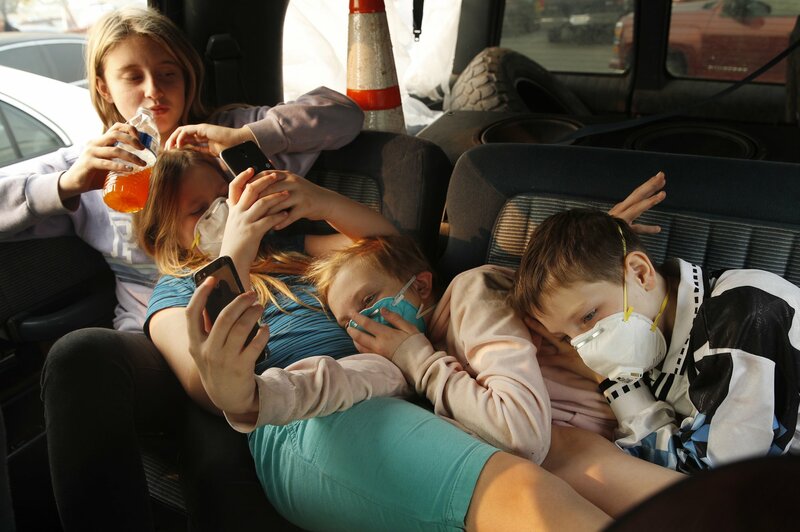 At the vast shelter parking lot, evacuees from California’s deadliest fire wonder if they still have homes, if their neighbors are still alive — and where they will go when their place of refuge shuts down in a matter of days. The Northern California fire that began a week earlier obliterated the town of Paradise . 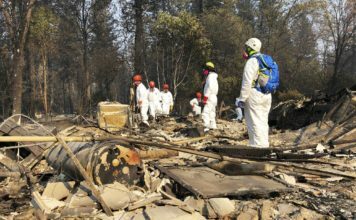 Searchers have pulled bodies from incinerated homes and cremated cars. But in many cases, the victims may have been reduced to bits of bones and ash.